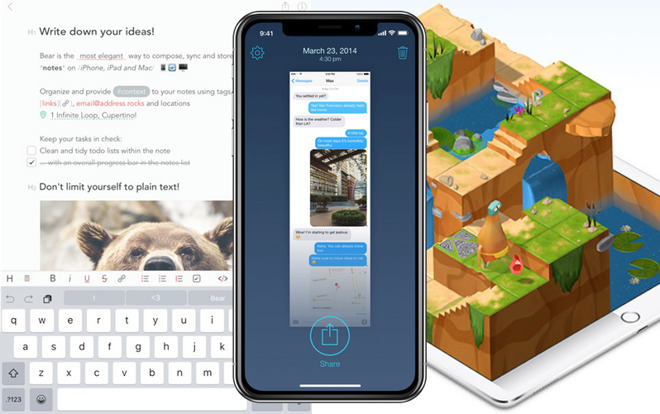 This week's highlighted apps include changes to the Office 365 productivity suite, Swift Playgrounds, writing tool Bear, screenshot stitcher Tailor, and wine app Vivino. 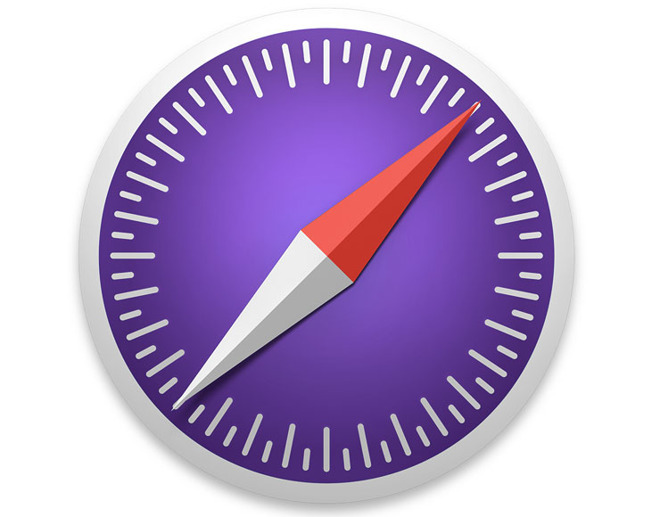 Safari Technology Preview is an experimental version of Apple's Web browser, running separately from the one pre-installed on Macs. It allows both developers and the public to get a glimpse into future features and bugfixes. Subscribers to Microsoft's productivity suite are gaining a variety of new features on Apple platforms. These include AI-related features in Word for Mac, such as a Resume Assistant using data from LinkedIn, and translation into 60 languages, though only 11 of these are enhanced by machine learning that analyzes sentence context. Outlook for iOS has been improved with Draft Sync, which will let email started on one device be finished on another. 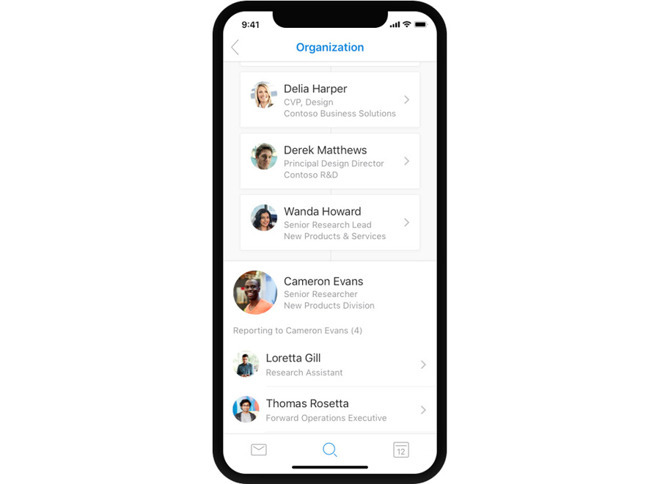 A new Organization view, meanwhile, will not only display a company's hierarchy but analyze work and communication patterns to surface other related contacts outside of a business. Microsoft has further promised that previews of Office 2019 for Mac will arrive in "the next few months." Get it for iOS: Free Requires iOS 10 or later, and an Office 365 subscription for full features. 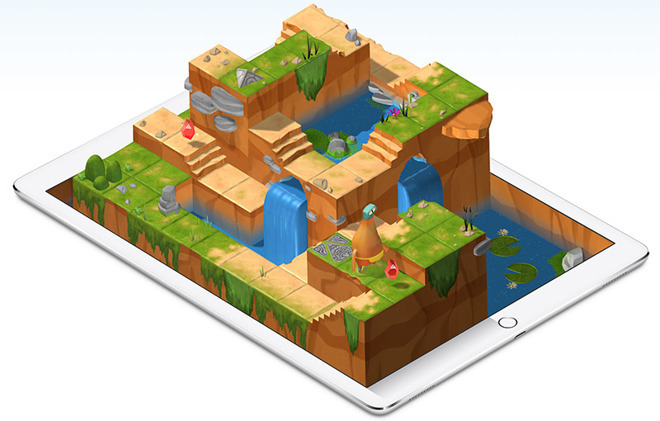 Swift Playgrounds attempts to teach people of all ages how to code in Apple's Swift language, using game-like puzzles with 3D graphics. The company is continually releasing more challenges, and the app can even be used to create original programs or puzzles. The 2.1 update brings in a "What's Next" section that recommends playgrounds based on progress. In classrooms and other multi-user environments, content can be cached on a Mac to speed up downloads. 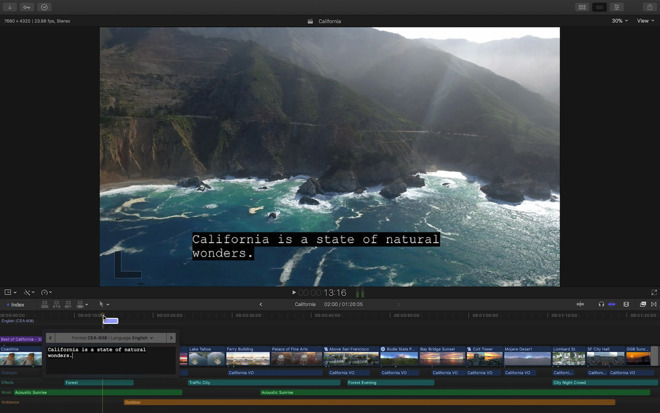 Final Cut Pro is Apple's professional video editing suite, supporting formats like ProRes, RED, XAVC, AVCHD, and H.264. Tools let users handle tasks like audio, titles, transitions, closed captioning, and library management. The latest update fixes two problem areas. The first involves XML import and export, while the second relates to unwanted clips being selected when using marquee selection or the Shift key. Bear lets users write notes, code, long-form text, and to-do lists, with options like a Focus Mode and a markup editor with support for more than 20 programming languages. It also supports sketching, including via the Apple Pencil on iPads, and export to a variety of formats. Some options —among them cross-device sync and some export formats —require a Bear Pro subscription costing $1.49 per month, or $14.99 per year. The 1.5 update makes it possible to create custom TagCons, archive old notes, and find items faster thanks to new Sidebar sections and pull-down search. Other improvements include the ability to export all notes with a particular tag —sub-tags become subfolders —and export to EPUB, a format supported by the likes of iBooks. We frequently take screenshots of images on our phones. One problem that's persisted since the beginning has been, how do you show all the content on a page that needs to be scrolled? Tailor takes multiple screenshots, and stitches them together to make one image. It's not the first application to do so, but what makes it convenient is that the app detects the sections of the screenshot that overlap. All you have to do is make sure that the screenshots have enough in common between each image for it to be able to detect where to stitch. You start by capturing the length of the page you want to save and saving it as a series of screenshots. When you scroll a page, make sure that about 1/4 of the page (more or less) overlaps with the one before it. There's no need for precision here, you just need to capture enough of the page that Tailor has something to detect. Then, launch Tailor and give it permission to access photos. 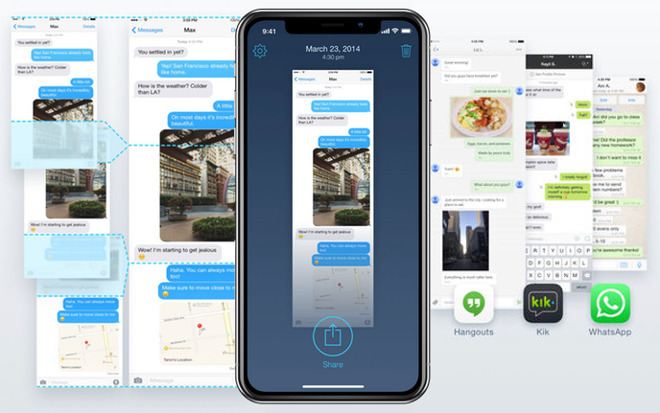 The app automatically finds screenshots that appear to be in order, and stitches them together. Lastly, you save or send the image using the plain old iOS share sheet. It does put a small advertisement for itself at the end of each stitched screenshot, which can be removed for $2.99 as an in-app purchase. 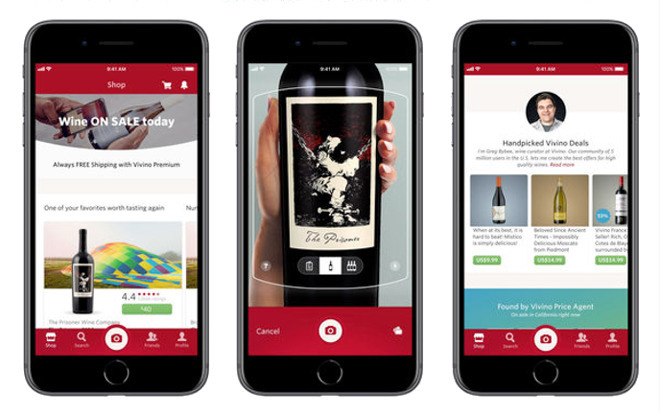 Vivino bills itself as wine, made easy. And the truth is, there's a lot of difficulty with wine, whether it's "what's good, and what's good that I can afford?" or "what goes with the meal I'm about to serve?". It also can be difficult to remember what the wine was when you've had a really good one. The user flow is pretty easy: you photograph a label with the app, and it tells you everything about that wine, and allows you to save it to a favorites list for easy recall later. If you can't get out to the store or don't have a store that carries a specific label, it's possible to purchase a bottle directly through the app. If you appreciate a good glass, this seems like an app that would be a must-have. There are community contributed reviews, which also help. We prefer them to fancy wine snob reviews, because it feels more trustworthy. Kontrast, by Timo Kuilder is a short, but beautiful game. Composed of 7 levels, everything is touchable as you try and navigate through the maze of the levels. This Saturday 'Kontrast' will be available for iOS & Android. It's not colorful, it's not fast-paced, but it's engaging. It most reminds us of a cross between a Rube Goldberg invention and the children's television show "Sesame Street," who used to run a segment of a pinball moving through different worlds, to the tune of '1-2-3-4-5-6-7-8-9-10-11-12'. If you're old enough, you'll remember that vividly. The game is well-suited for short gameplay, is an interesting concept, and has music by Ambrose Yu. Yu's sound design is best thought as 'creative audio', music and sound blended in an unconventional way that makes for good, integrated accompaniment. 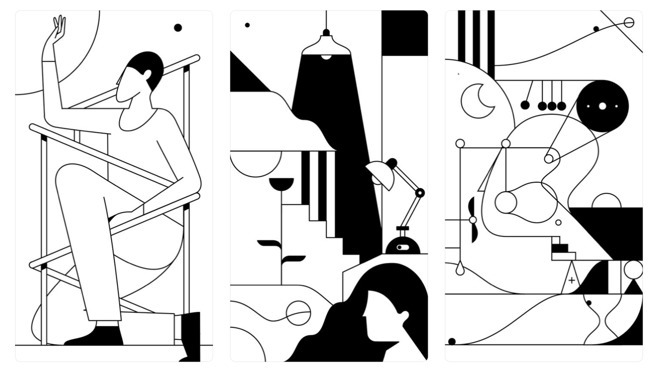 If an artful, off-the-beaten-path kind of thing resonates with you, you might enjoy Kontrast.